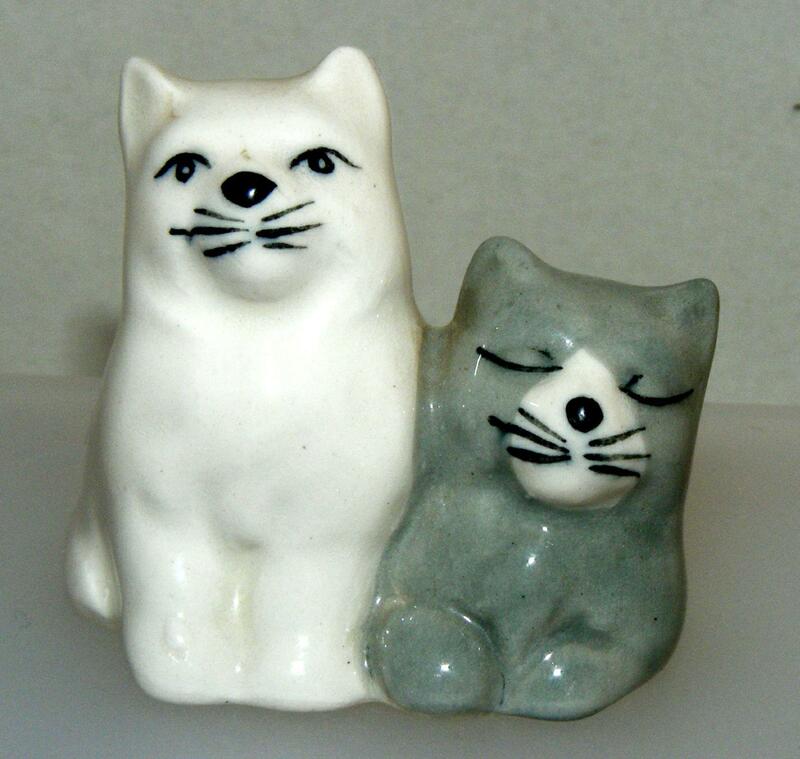 This little pair of cats is from the Szeiler factory. It measures approximately 4 cm high by 4 cm long (about 1.5 x 1.5 inches) and will make an excellent addition to any collection of miniature animals. It is stamped on the base "Szeiler Made in England"
It is in excellent condition, with no nicks, cracks or restoration. Joseph Szeiler was born in Hungary in 1924. He moved to Britain in 1948 and, after several months of inactivity, applied for work in the pottery industry. 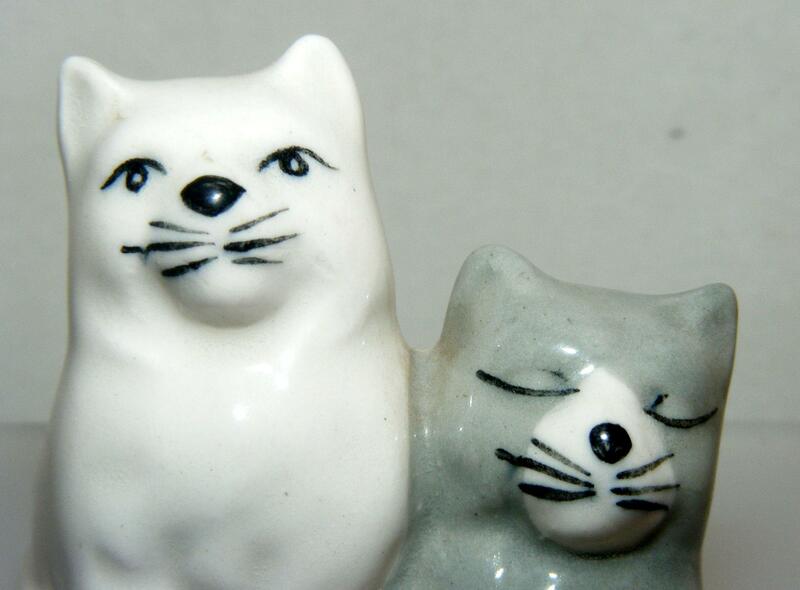 After working for several manufacturers, in 1951 he started his own pottery company, making small animal figures. He made his own models and moulds an did his own casting, glazing and decorating. Eventually, in 1955, he was able to expand his business and take on employees. The bulk of the output of the Szeiler factory was animal figures, with more than one hundred being produced in various sizes. 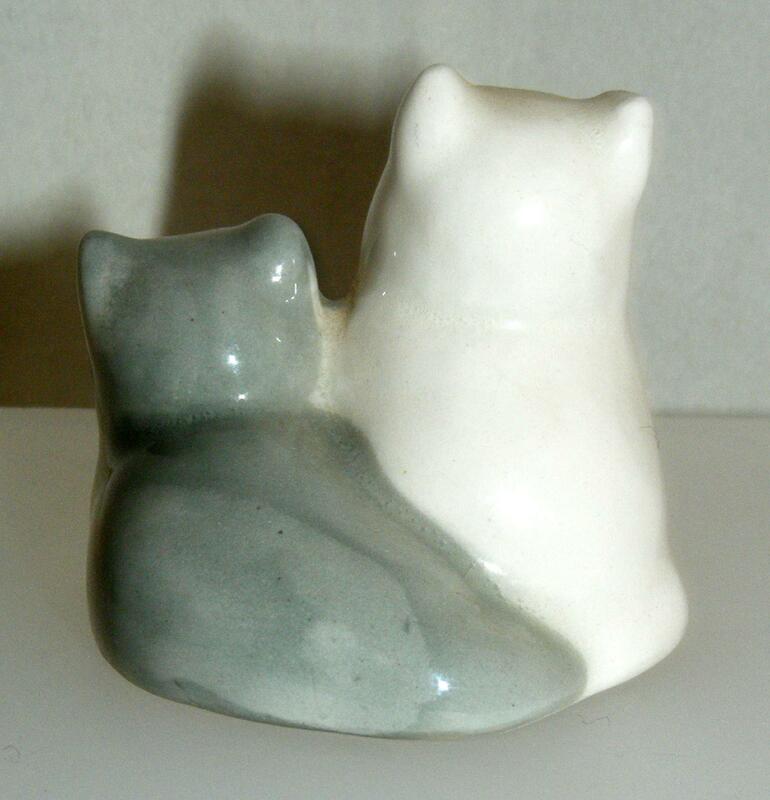 Also made were vases, figures, table wares, money boxes, and contemporary sweet dishes. 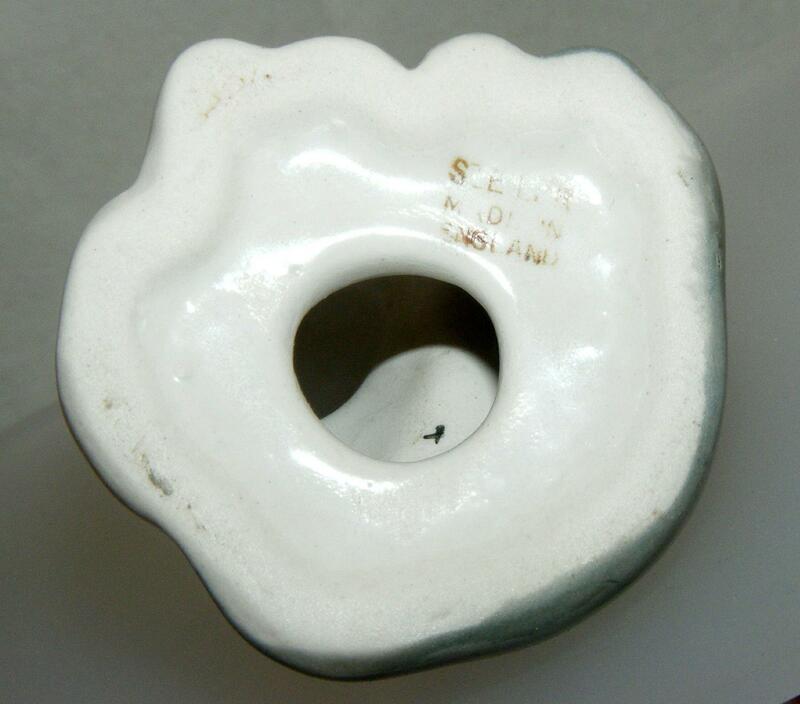 They were made from a prepared earthenware body, cast in the orthodox fashion, biscuit fired, glazed and decorated according to well established practice in North Staffordshire. After his death in 1986, the Moorland Road premises were sold off. The current owners, ‘Moorland Pottery’ are considering a small museum in tribute to Joseph Szeiler whose pieces are becoming more collectable by the year.